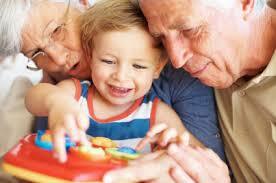 The law in Tennessee allow for grandparent visitation, but gaining court ordered visitation is very challenging. It’s the parent’s right by Tennessee statute to raise his or her child as they see fit, so long as those decisions do not harm the child or endanger his or her welfare. The facts of In Re Destin R. are (Child) was born to Amy Redferrin (Mother) in April 2007. At the time of his birth Mother was living with her father and step-mother (Grandparents). Mother and Child continued to live with Grandparents until Child was two years old. During that time Grandfather took care of Child while Mother was at work or attending school. When Child was two years old, Mother moved them into their own home with a man who was to become Mother’s husband. Child was enrolled in daycare. In time Child began exhibiting aggressive behavior, to the extent that he was dis-enrolled from the daycare facility. At the suggestion of his pediatrician, Mother took Child to a doctor who prescribed him medication to help with his aggression. Mother then took Child to a clinical psychologist who took Child off the medication the MD had prescribed, and developed a behavioral modification plan to which all family members and caregivers were to adhere. The plan included specific guidelines and a notebook in which the caregiver was to record Child’s activities, food, any behavior problem and how that problem was dealt with at that time. The main focus of the plan was consistency and structure for Child. It was then that Grandparents filed a Petition to Establish Grandparent Visitation and a Guardian ad Litem was appointed. The case came to trial on July 19, 2013. In an order entered August 20, 2013, the trial court found that Mother “effectively terminated Petitioners’ visitation” and ordered specific visitation privileges for the Grandparents with Child. Did the trial court err in finding risk of substantial harm to the minor child if the request for visitation was denied. Did the trial court err in finding that ordering Grandparent Visitation is in the best interest of the minor child per T.C.A 36-6-106. We do not find it appropriate to “soldier on” to conduct an independent review of the record and address the other issues presented by Mother. As noted, there was no evidence that Mother opposed Grandparents’ visitation at the time the court ruled that she had the burden of going forward. The evidence we have reviewed preponderates against a finding that Mother opposed Grandfather’s visitation and shows that Mother restricted, but did not oppose, Grandmother’s visitation. Moreover, it is necessary for the trial court to make specific findings of fact relative to Mother’s opposition to both Grandparents’ visitation and to the effect of any denial of visitation on Child. In addition, the trial court did not assess the credibility of the parties; given the strained relationship between Mother and Grandmother which is apparent in the record, an independent review of the record would be inappropriate in this instance. According, the Court vacated the trial court’s decision and remanded the case for the entry of an order in compliance. It is certainly true that under Tennessee law grandparents have visitation rights too. But sometimes, like in this case, the trial court may overreach the inherent rights of a child’s biological mother or father provided that all things are considered in weighing the best interest analysis of the child. If you are in a grandparent visitation dispute, contact Jim Widrig or any of the attorneys at Widrig Law, PLLC to schedule a free consultation. Our phone number is 615-417-7800.